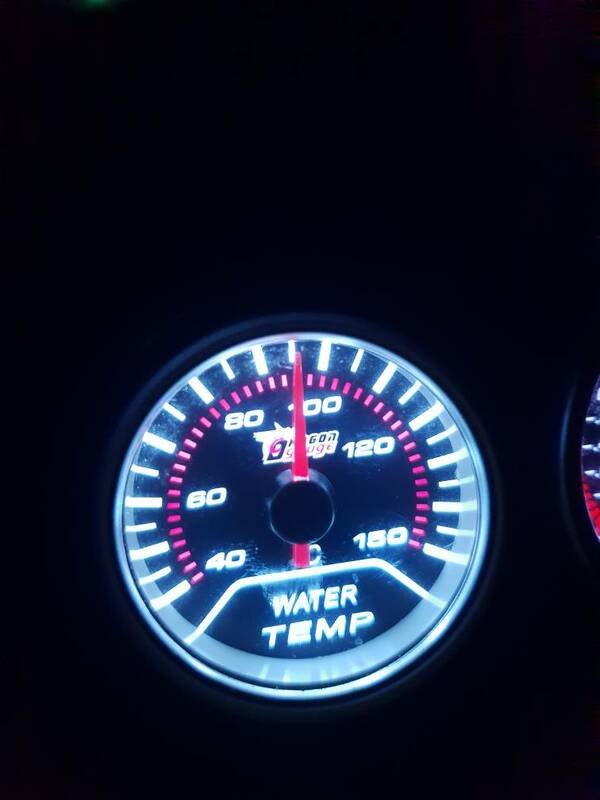 I bought my car with an already installed water temp gauge. The wire feeds down to the right hand side of the engine as you stand in front of it. 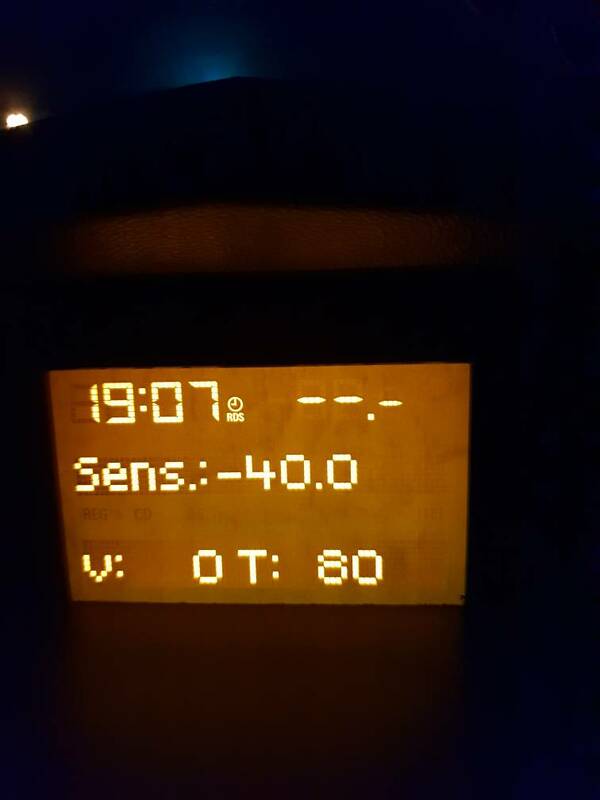 Tonight I went Into the 'secret menu' on the head unit and the temp reported there is approx 10 degrees less than the aftermarket (cheap looking) gauge. Are they 2 different places temps can be read from? Is my gauge just poo and inaccurate? Can I just trust the secret menu reading and stop worrying myself silly. Haha when you say it like that it's almost a no brainer... but I'm holding out for some more feedback on the matter. It's just i'd be tempted to trust oe equipment over aftermarket as it's normally far better quality if you know what I mean lol. Quick snap taken between the 2 gauges. And yes I believe the -40.0 is not the real outside temp but not far off! Just to update things guys. So the reason I questioned this was my ching chong gauge read 118 whilst stuck in town traffic on Sunday, jumped out and the (also aftermarket) rad fans were not running so given I've just had a new head gasket I browned my pants there and then. Tonight we checked the wiring loom for obvious signs of a problem. Checked the fuses and bridged the relays, one relay made one fan spin fast. The other relay bridge made both spin slow. Not sure when the high speed fan is suppose to kick in and if only one is normal as again it's aftermarket. So then happy enough with the above we just left the car running with heaters set to cold and not blowing and 20+ mins later it eventually hit 95 on the cars display when the slow fans kicked in! The other gauge read 120 at this point. The car soon dropped to 90 and the fans stopped. The cycle repeated of course. So the gauge or the way in which it was plumped in is just plain dodgy. I'll replace with a quality item and go from there. I'm aware that part of the screen is for the ambient outside temp. That sensor isn't there or very broken. just a thought as you have removed A/C the high pressure switch will no longer make a circuit and this is what brings the fan on high to cool a/c condenser, you could try bridging this to see if it brings the fan in on full.